Brooklyn Bedding Mattress Review - Testing #BestMattressEver??!! 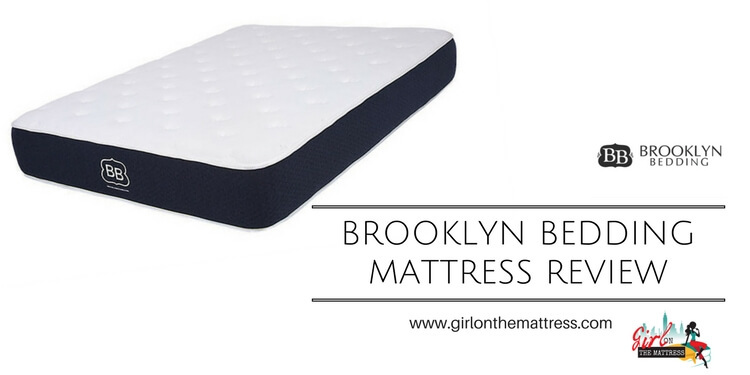 Brooklyn Bedding Mattress Review – #BestMattressEver??!! Important: Brooklyn Bedding Signature #bestmattressever has been changed. This model doesn't exist anymore. The new model is hybrid with coils, read my full review on the hybrid here. Also they sell a much affordable all foam version, Bowery, see the new model here. Brooklyn Bedding made some major changes in their mattress, check out the new mattress here and read my new mattress review here. Before anything, I think it’s important to mention Brooklyn Bedding is one of the most respected mattress companies in the U.S. And they have their own 145,000 sq. ft. factory! Basically, they have a say in the type of materials to include with their mattresses along with the various assembly specs they want. That part alone sets the company a whole league from other online mattress sellers. With that said, let’s get down the foam layers. Top Layer – 2-inch thick TitanFlex foam which is a responsive polyfoam, acts like latex. It provides comfort including a cooling effect. Middle Layer – 2-inch thick TitanFlex foam again, it’s firmer version, it’s firmer and provides compression support while serving as a durable base. Bottom Layer – 6-inch thick high-density polyfoam. Not only is this the layer that keeps it all together, it also helps the mattress become breathable. 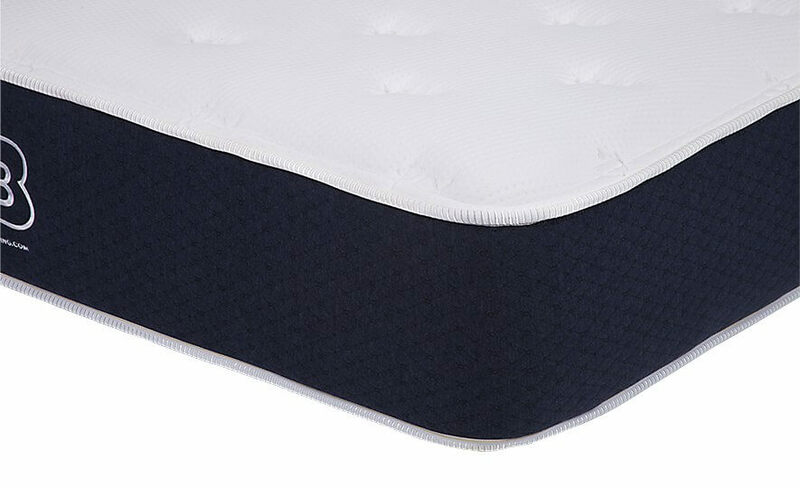 The little channels in the foam allow air to circulate while the durability prevents the mattress from falling flat or bottoming out. Updated: The cover with too many logos is gone. The new design is a cool looking, chick and modern design that’s expected from a company like Brooklyn Bedding. It’s fitted with a 3.4-inch thick polyfoam which acts sort of like a pillow when you sleep. I really love the feeling it offers and the little handles to carry the mattress is just a nice touch. Amazing Quality – I think the fact that the company has their own factory has a lot to do with this. Every nook and cranny oozes quality. Even when you check out the foam on the inside, it’s just beautiful. Firmness Options – Very few online mattress companies give you firmness options, so it’s always nice to see a company who does. Brooklyn Bedding mattresses are available in three firmness levels. All-American Construction – Yes, every single part of this mattress is crafted in the United States of America. So anyone who adores anything American-made will be happy with that fact alone. 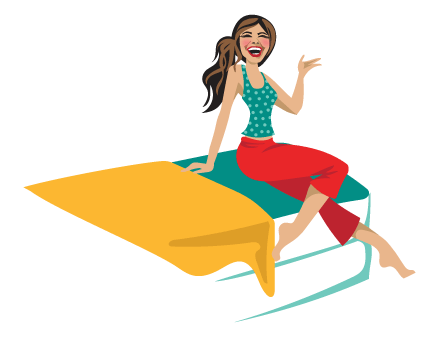 The Perfect Bounce – Thanks to its 100%-latex construction, you get a more pronounced bounce with this mattress compared to say a Leesa or even a Yogabed (which I think has a good bounce already.) I’m not going to lie, the entire time I had this mattress in my room, I would sometimes just keep standing up and lying down (with a mild plop) to feel the bounce. It’s seriously the best one I’ve felt. No Motion Transfer – Despite the softness, you really don’t get much motion transfer with this bed. That’s a total plus if you have someone sharing the bed with you. Great Price – March into a physical shop and you’ll be quoted upwards of $2,000 for the same quality of the Brooklyn Bedding mattress. For a mattress that starts at $450 for a Twin and ends at $1,050 for a Split California King, you get a great piece for a mattress your body will thank you for. Long Trial Period – All the basics are covered by the company. You get free shipping within the United States, full 100% refunds and a 10-year warranty to boot! However, the best part is the trial period is the longest one I’ve seen any company offer. Brooklyn Bedding actually gives you 120 days to try out the bed. Pretty neat, and definitely something to be happy with. The design (New design is great) – The exterior ticking design bothers me a bit. There’s just… a lot… going on. And the branding seems a bit in your face. This may seem like a small, dumb thing to care about, but I can’t help it. Every detail matters. I’ll say it upfront. I do think this is one of the “best mattresses ever.” Is it “the BEST ever”? I’m not sure. But it’s up there. I’m actually surprised how much I like this mattress. 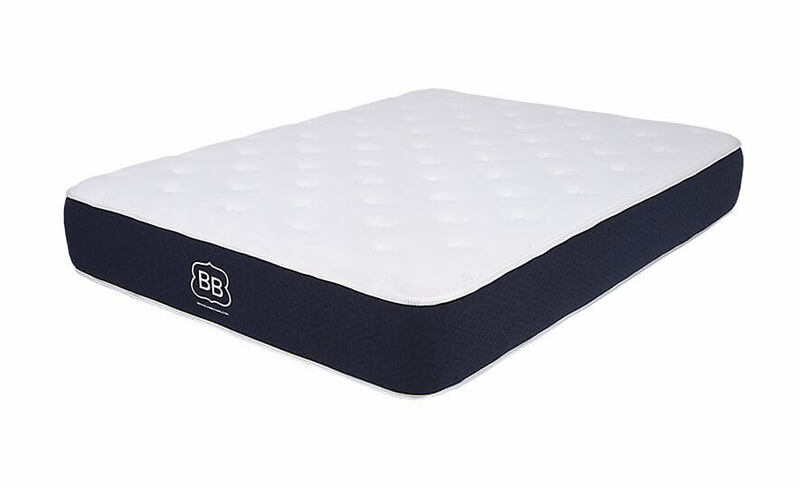 It’s got everything I need: There’s the beautiful bounce minus the discomfort of a spring, the wonderful embedded pillow top layer, and the great pushback support for when I decide to toss and turn. I think the fact the company has been around since 1995 is also a pretty nice advantage. They know what they’re doing and they know what feels great when you sleep. Aside from that, you just can’t beat the price. For the quality, comfort, feel and support you get, this bed is a solid option. I need a mattress. But I only have from $300-$450. Are you introduction any mattress for me? Awesome Site. Very much enjoyed researching!